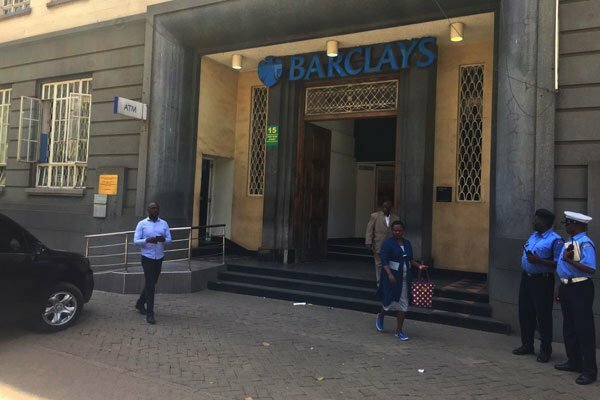 The Flying Squad has recently discovered a safe inside the Barclays Bank Queens Way Branch in Nairobi. The safe is said to have been found with Ksh17 Billion in fake currency. The police sources Daily Updates Africa talked to in confidence said that the fake money was being used by a racket to con unknowing people. Only last month, officers from Special Crimes Prevention Unit seized a bigger amount of fake money from a house in Ruiru. Joseph Munyao and Nancy Muthoni, who were identified as prime suspects, were found with Sh32 billion in dollars and 26 pieces of fake gold. 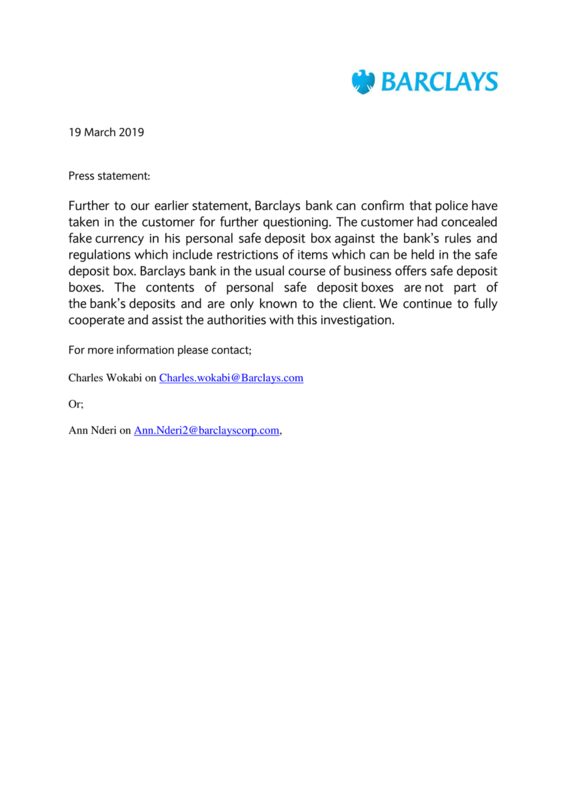 Barclays Bank found itself in a tight spot today after people started claiming that they were part of the people conning the public. Many were quick to remind the bank that they were accused of helping NYS suspects to launder money stolen from public cofers. The bank in a statement released to the public said that a customer who had a safe was arrested inside their bank. They only fell short of saying that they had nothing to do with the crime or the criminals. A customer who holds a personal safe deposit box at our Queensway branch was this morning intercepted by police at the branch. Police are currently investigating the contents of his safe deposit box. We are assisting the authorities to investigate this matter fully.